Let's talk about Hair Oils today. 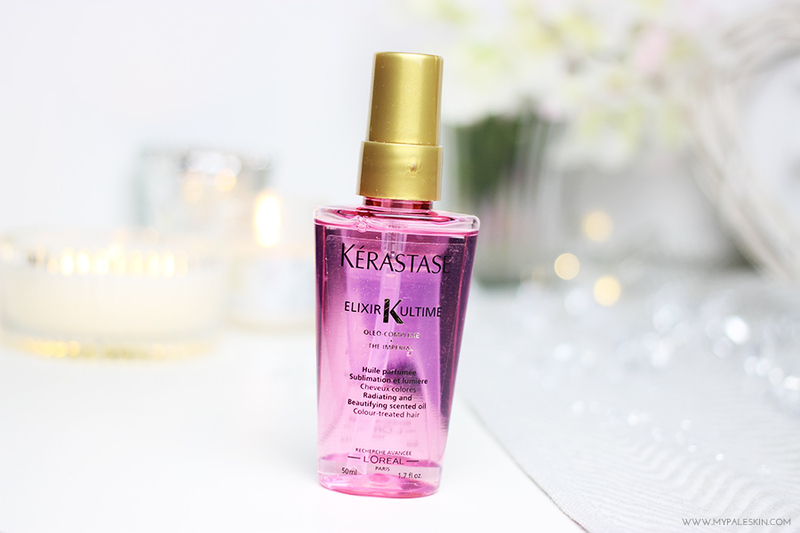 Now, Hair Oils are products that I haven't used that often before, but after receiving a bottle of the Kerastase Elixir Ultime* in a goodie bag at an event I went to a while back, I thought I'd give it a try. I have bleached hair, and I'm sure as hell that I should be using all the products all the time. Hair dressers like to inform me of this every time I visit the Salon... yet I always come away feeling a little bit miffed, a little bit scorned and a little bit like i've been preached to and overly criticized by the hair dresser. Which, then makes me not want to go back. It's almost like an endless circle of disdain for my hair, but i'm working on it... For instance, my hair is now the longest it's been in years, and is in pretty good shape considering how much it's bleached every month. 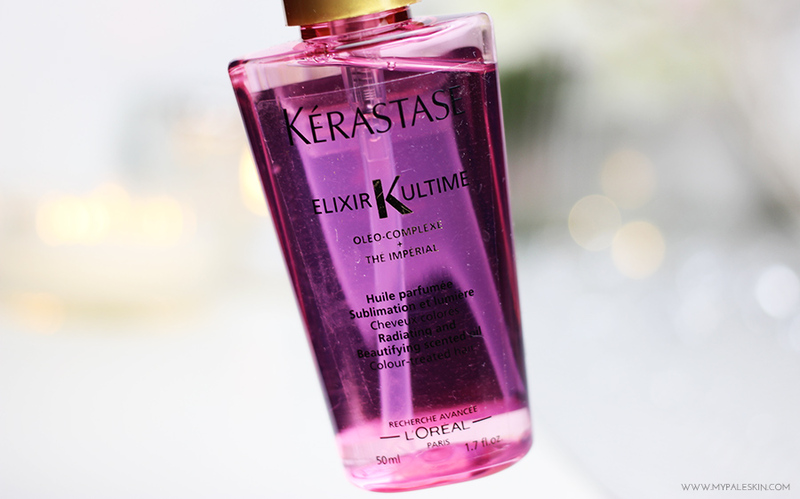 I started incorporating the Kerastase Elixir Ultime* into my routine about 3 weeks ago. I like to use the oil on freshly washed, damp hair. To start, I squirt around 3 pumps of product into the palm of my hand. Next, I gently rub my palms in a circular motion. Finally, starting at the ends of my hair, I begin to massage into into my hair working upwards, and concentrating on the ends and midlengths, I find that avoiding the roots means that my hair doesn't get greasy, yet still feels the full effects of the product - Which is great! I then blow-dry my hair as usual and when complete, I apply one more pump of product into the ends, and brush it through. I find that applying the product in this way leaves my hair feeling silky soft and gives it a real luxurious feel. I also can't talk about this product without mentioning the scent. This product smells divine, it's like a mix of fruitiness and a high end perfume and will certainly leave your hair smelling like you've just walked out of a salon. At £28.40 for 125ml it's not cheap in the slightest... but i'm convinced and converted and absolutely can't live without it now. This sounds amazing, sometimes you have to pay that little bit extra but it makes all the difference! I know exactly what you mean about hairdressers. It's as though they see bleached blonde hair and you automatically turn into a cash register for them coz they know it's all about the upkeep. I've been using oils for a while now, wouldn't be without them. Morrocan oil, the light version is so much better than this one, if you ask me:) You should try it! So much thanks for sharing this post guys with us .